If you’re wondering whether the police officer who gave you a ticket was just trying to meet his or her monthly quota, you’re not the only one. If you do a quick Google search you’ll find that there are a lot of people asking that very same question. You may have gotten a ticket for going slightly above the speed limit while the car in front of you drove off at a much faster speed, or maybe you noticed a lot more police activity during this past month. While it may seem as though there’s a set monthly quota in place, the truth isn’t so black and white. Traffic ticket quotas have come under a lot of scrutiny these past few years and many states have decided to ban them entirely. Illinois, New Jersey, California, and Oklahoma all have passed a bill prohibiting police officers to have quotas and police departments from comparing the number of tickets officers have given when choosing who gets a raise and or moves up in position. Other states are considering doing the same to avoid further scrutiny. Unfortunately, outlawing traffic ticket quotas has not deterred some police departments from still imposing quotas under a different name. Some departments use the name “station average” to keep track of traffic tickets given out by police officers, causing a lot of issues. California banned ticket quotas over 10 years ago, but some police departments decided they were above the law and are now being sued by some of their own officers. These departments used quotas to evaluate the performance of police officers and because of it LA must pay $8 million dollars to its own police officers. There are still additional pending cases against other police departments that have continues to break this particular law. Even Florida has banned ticket quotas, but only for state law enforcement agencies. This ban is enforced, especially after the Florida Highway Patrol was accused of firing a police officer in 2009 because he didn’t give out enough traffic tickets. In addition, police departments in New York and Pennsylvania have also come under fire for using quotas even though it was against the law. 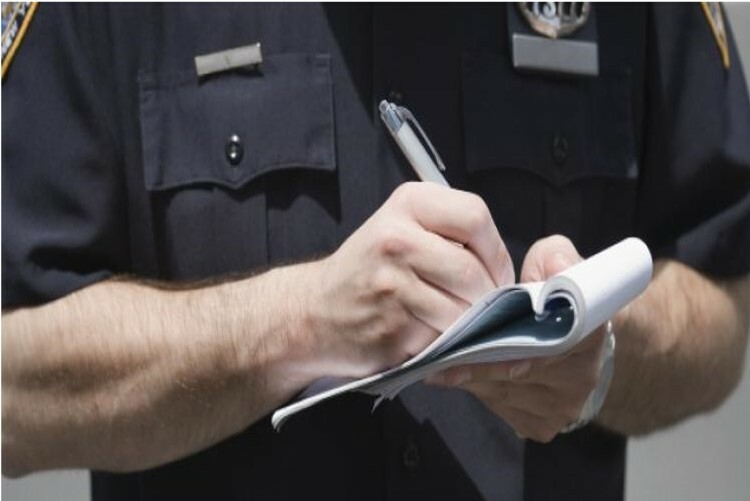 If you’ve ever gotten a ticket you know that traffic citations are often expensive. The police department gets to take a huge chunk of the money you earned and put it into their own pockets. In the past few years there have been a lot of budget cuts causing many police departments to downsize. It’s obvious that they are under pressure to bring in money and this puts pressure on the police officers to give out tickets. Some police departments have argued that this bill limits police officers’ ability to perform at their best. It makes it difficult to scale a police officer’s performance and motivate officers to meet and even surpass the standards. But those who support this bill point out that it does not prohibit the departments from evaluating police officers through a different method, such as taking into consideration the number of traffic stops, arrests, and warnings the officer has given out. This law simply keeps them from evaluating using ticket quotas. Many continue to argue that these traffic ticker quotas cause police to lose their focus. The police officers would be more concerned with earning high numbers instead of the public’s safety. Getting rid of these quotas entirely will allow officers to focus more on their job, protecting the public. It will also boost the public’s trust on law enforcement. If you’ve received a ticket you don’t necessarily have to get the points on your license. Did you know many counties allow you to go to a traffic course so that you can either get your ticket dismissed or at least avoid getting points on your license? It’s true! Next time you get a ticket keep that option in mind.